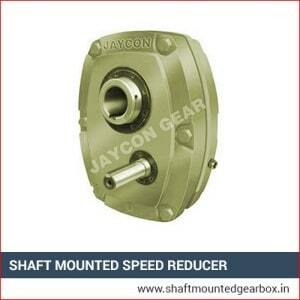 JAYCON brand Shaft Mounted Speed Reducer are deep embedded brand of Gujarat and are a synonymous to world class product. It is very popular brand of Gujarat since four decade of time. Along with SMSR gearbox, our other industrial gearboxes are also as much popular as its original product. Our gearboxes are successfully used in road construction equipments, chemical plants, textile processing plants, mini cement plants and many more equipments and machineries. We have designed enormous range of worm gearbox, worm reduction gearbox, non reversible SMSR gearbox and industrial gearboxes.